Handle Features : Lock-on switch. Blade Design Type : Forward Curved. Product is good but some things are missing. No vacuum, only air throw, creates a balloon of dust everywere. Secondly, no speed setting, air is thrown at high speed, may damage delicate things. 1 of 1 users found this review helpful. Was this review helpful? Satisfied with the quick delivery services and products are original and genuine. I would recommend this portal to everyone. 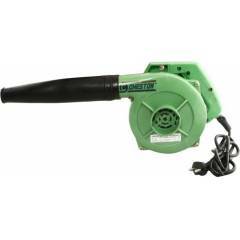 I have searched Air blower from different online store But I seemed nothing is better comprism Moglix.com,When My product received by me this is same when i searched on moglix.com and till now I using good.I can say moglix.com trustful online store.